The blanking out of two articles in a week in Thailand’s edition of the International New York Times has drawn significant criticism around the world and probably increased the articles’ consumption. Last week saw local Thai printer Eastern Printing PCL censor the newspaper twice over articles referring to the royal family. Criticism of Thailand’s royal family is illegal under strict lese-majesty laws. Infringers can face up to 15 years’ in jail for each perceived breach. Speaking to Reuters, Eastern Printing’s chairman Yuth Chinsupakul denied the company was under pressure from Thailand’s military junta, which has issued extremely harsh sentences of up to 60 years for lese-majesty offences. Chinsupakul told Reuters that the article was too sensitive to be published in the "current situation". "The printing press is liable and can be sued," he said. "We are just doing our duty as good citizens. We don't want to risk our public company with the issues foreigners are writing about. That's all there is to it." Given the consequences, Eastern Printing’s caution is reasonable, said Brian Griffin, CEO of Vero PR in Bangkok. But the effect of censoring the print edition of the newspaper has likely been weakened because the articles were still available online and the incident has been widely covered in the global press. "The local printing companies need to adhere to local laws, and their cautious stance is understandable. But the reality is that refusal to print may have the opposite of the intended effect, and actually ends up drawing more attention to articles than it would otherwise receive," Griffin said. "PRWeek Asia’s story is a perfect example of this." "In addition, the content is available online, and is being pushed out via Facebook Instant Articles. Web boards are referencing the article, and in a general sense, this refusal to print the content simply creates far more interest and propels people to find and discuss the information. It generates buzz." The first banned article was about Thailand’s ailing economy but made reference to King Bhumibol Adulyadej’s reported poor health. He has not been seen in public since September 1. The second was focused on greater transparency over the monarchy’s wealth, which is handled by the secretive Crown Property Bureau. In its place was a message saying: "The article in this space was removed by our printer in Thailand. The International New York Times and its editorial staff had no role in its removal." In a statement on its corporate website, the New York Times said: "This second incident in a week clearly demonstrates the regrettable lack of press freedom in the country. Readers in Thailand do not have full and open access to journalism, a fundamental right that should be afforded to all citizens. "As always, this op-Ed and our full news report is available on our various digital platforms." 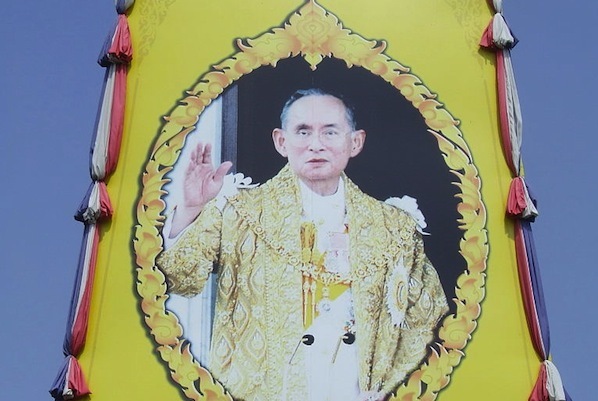 In September, Eastern Printing declined to publish an entire issue of the International New York Times that carried a headline saying ‘With King in Declining Health, Future of Monarchy in Thailand Uncertain’. Again, the article was available online.